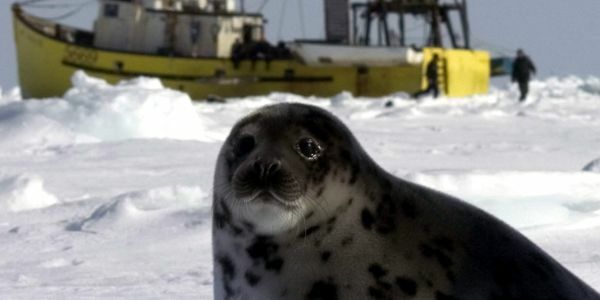 petition: Tell Canada: Stop the Mass Seal Slaughter Now! Canada's annual springtime mass seal hunt seal hunt is cruel, unnecessary and wasteful. Unnecessary: Products from the Atlantic commercial seal hunt are not needed. While we used to use seal oil to light lamps, for instance, we don't need to kill tens or hundreds of thousands of wild animals for trinkets or luxury goods. Wasteful: 92% of the meat from the hunt is wasted – left to rot or dumped in the ocean – according to Canada's Department of Fisheries and Oceans. It's time for the Government of Canada to stop funding the commercial hunt, and to work on alternatives for those few remaining fishermen who still participate. The commercial seal hunt is cruel, unnecessary and wasteful. Wasteful: 92% of the meat from the hunt is wasted, according to Canada's Department of Fisheries and Oceans. And in the last five years, the landed value has been 9 million, but the government has spent 20 million to prop it up. There is so much more we could be doing with this money, from libraries to schools to healthcare funding. It is time for the non-Inuit, commercial seal hunt to end. I urge the Government of Canada to help sealers transition into the future, by buying out sealing licenses and putting resources into helping rural communities in Newfoundland and Labrador. It is time to stop subsidizing the largest slaughter of marine mammals on earth.